This week Maya Road and Chic Tags are blog hopping it up all week. Today on the Chic Tags blog I had a chance to share a few projects. Can you tell I am doing a little catch up in this little guys album? Afraid I have not been telling his story as much as I would like. But this story right here...it's one of those that is so right where he is right now. Maya Road sent over several products to play with. This included their Maya Mist in Sea Green. 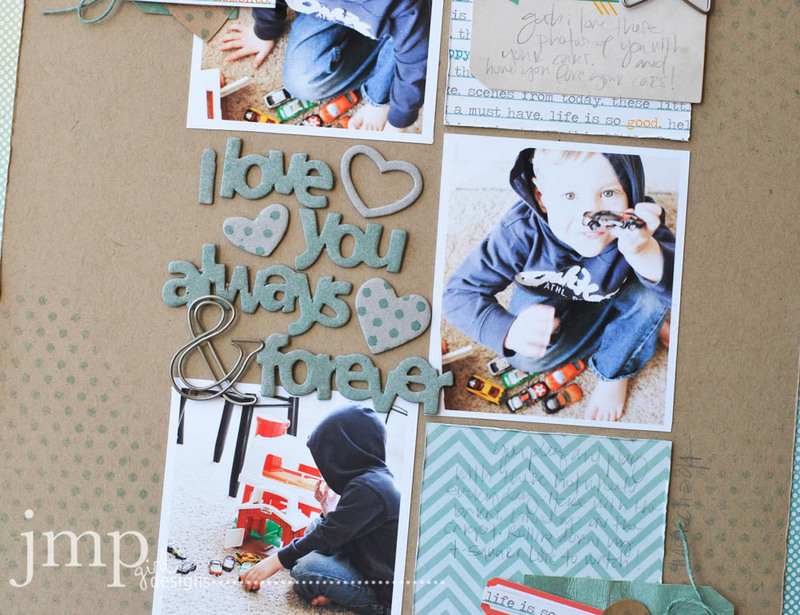 Love Words Mini Chipboard Set and those awesome ampersand clips. The chipboard was super easy to spray and the Maya Mist left a subtle effect of color. 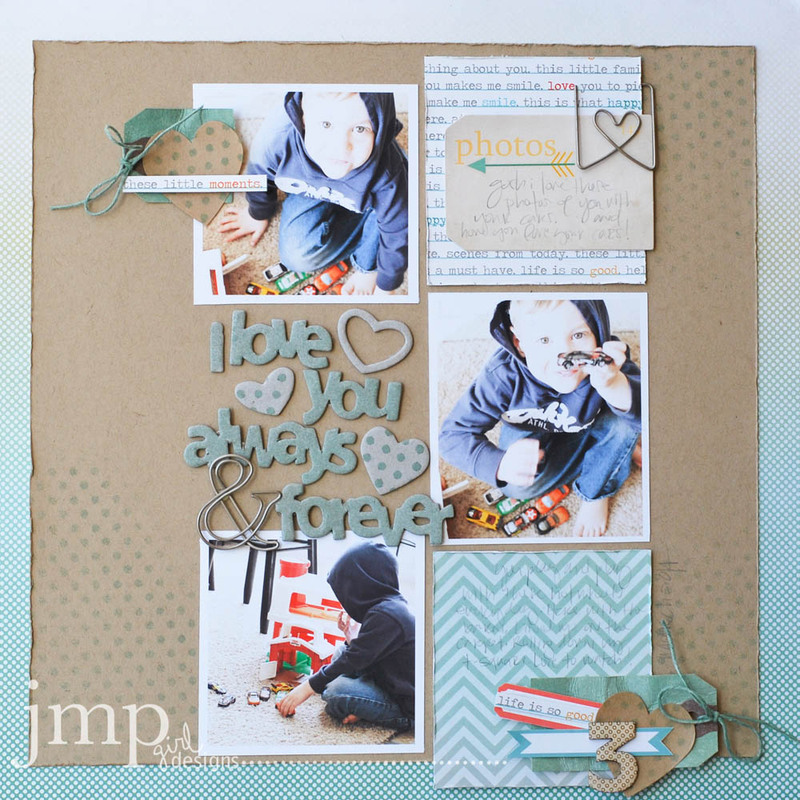 The Chipboard Set was put to work creating a little title for this layout. 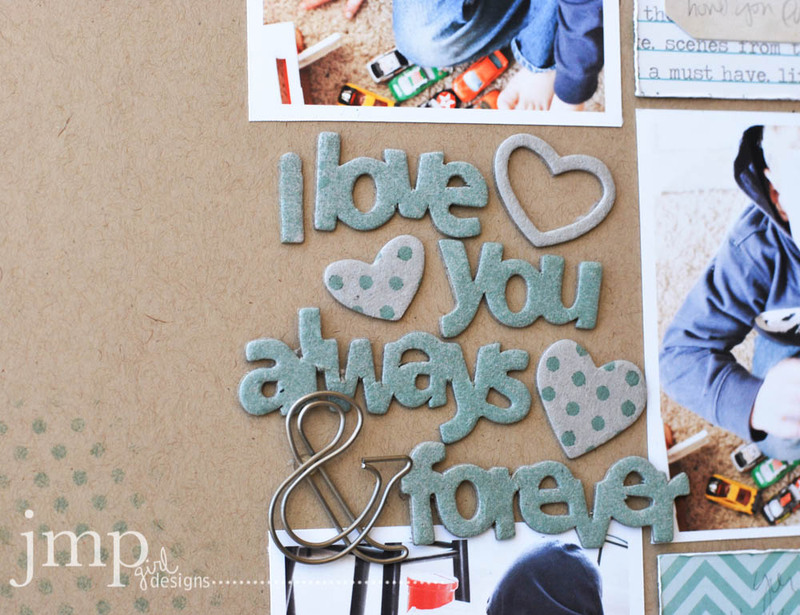 Stencils were also used to add color to the chipboard hearts and I loved how that turned out. I am a little addicted to coloring manila tags at the moment. And the mist did a beautiful job doing just that. The Kraft DIY Stickers were also fair game for the mist and a stencil. 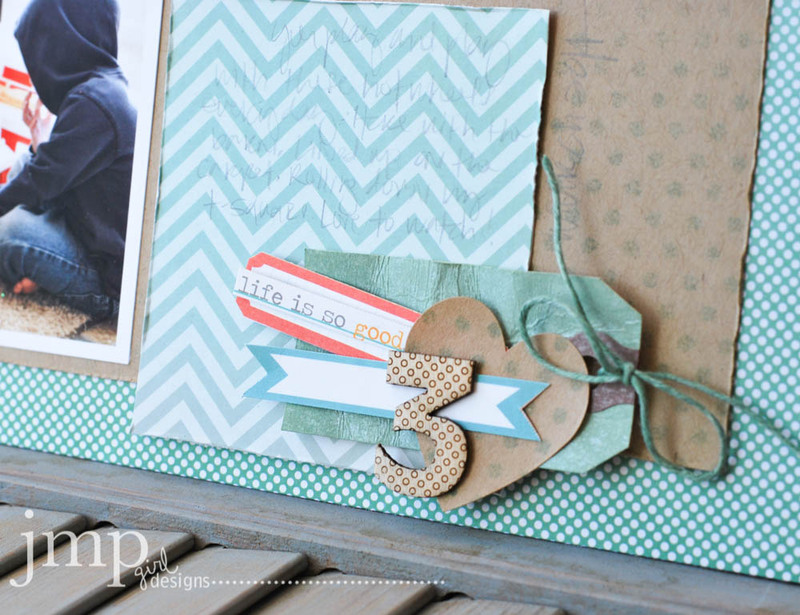 And of course plenty of Chic Tags and that cute cute '3' from the March Kit added to this little boy layout. 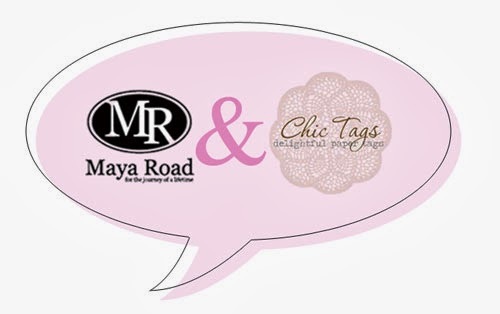 Be sure to check out Chic Tags blog today and all this week for a look at how more of Maya Road is partnering with Chic Tags this week. There may or may not be a little giveaway too. Go sign up for that!! !